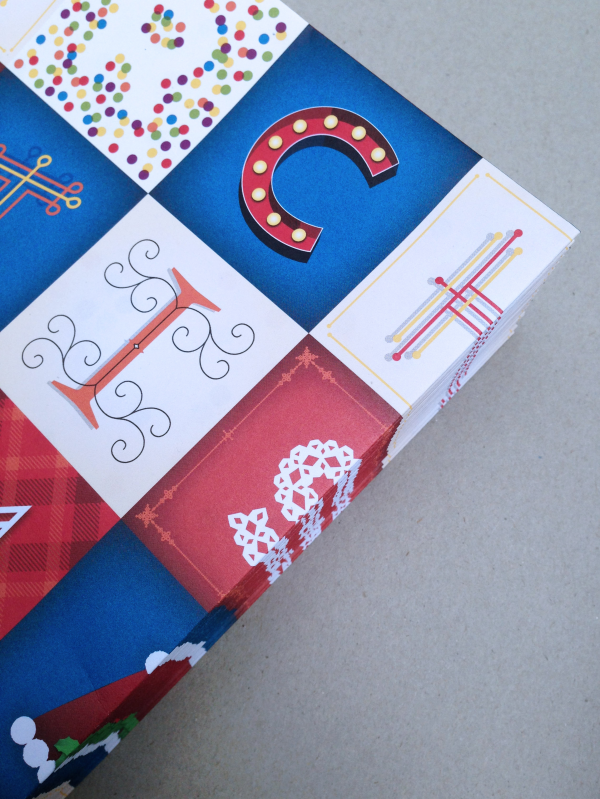 Christmas is a time of giving, and giving gifts means wrapping paper. Our festive gift to clients and contacts aimed to be both beautiful and useful: a unique piece that displayed our creative skills, and which had a practical use for the recipient. Running a small business is hard. In the graphic design industry, with the ever increasing presence of crowdsourcing and logos-for-$100 (or even $5), it’s essential to keep engaging with present, past and potential clients. Christmas is an occasion when sending a thoughtful, witty or useful gift is welcomed. More importantly, it’s not considered spam. 3. Be useful, not just something to sit on a desk and be thrown out in January. 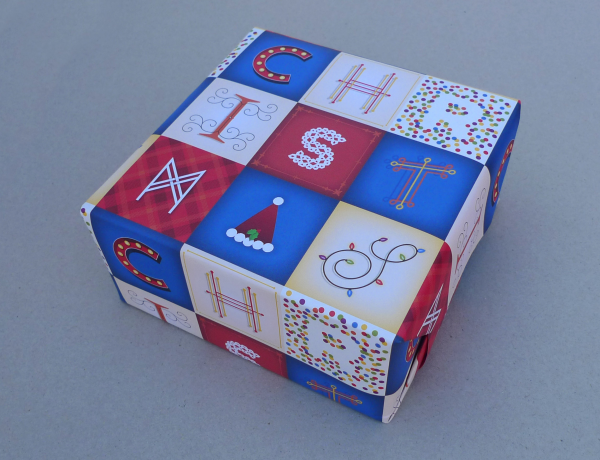 Although this wrapping paper was primarily designed to be used at Christmas, we didn’t want it to have a lifespan of just a few weeks. 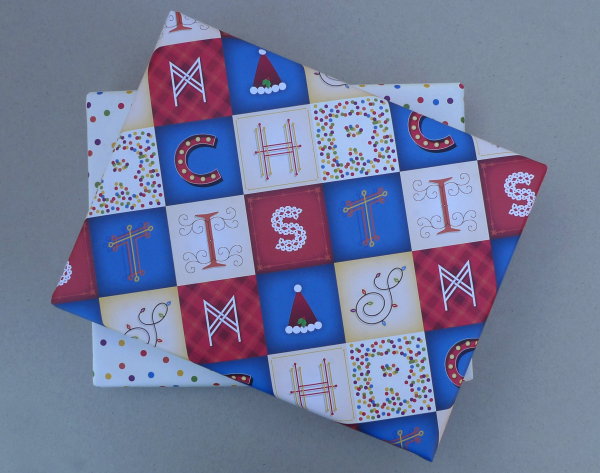 Printing the reverse with a colourful yet non-Christmas pattern ensured it could be used for any occasion. The design had to be clever, cutting edge and contemporary, to showcase the quality outcomes that Brand By Name delivers for clients. 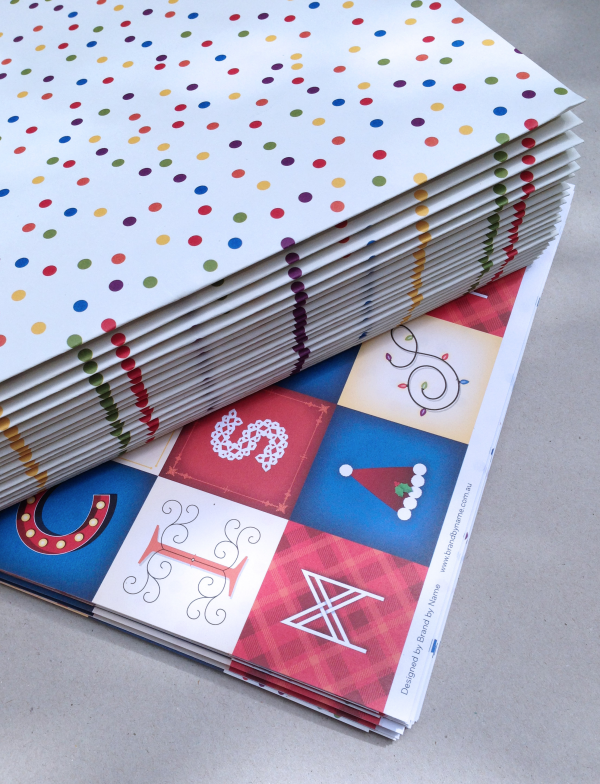 Essentially, we wanted people to say ‘ooh, how lovely!’ when they first saw the wrapping paper. 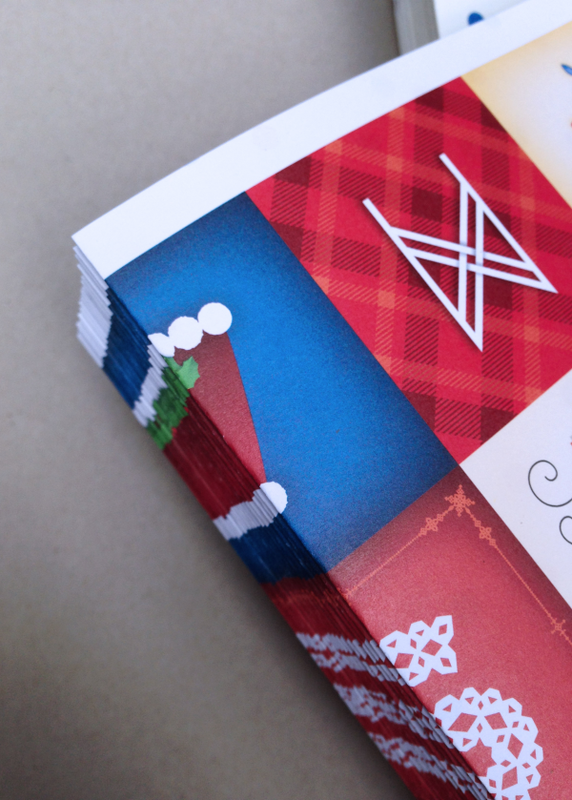 Further emphasising the studio’s experience, we printed the paper on a carbon neutral, 100% recycled paper, providing proof that eco-friendly print methods can achieve beautiful results. Christmas clichés are all too easy. 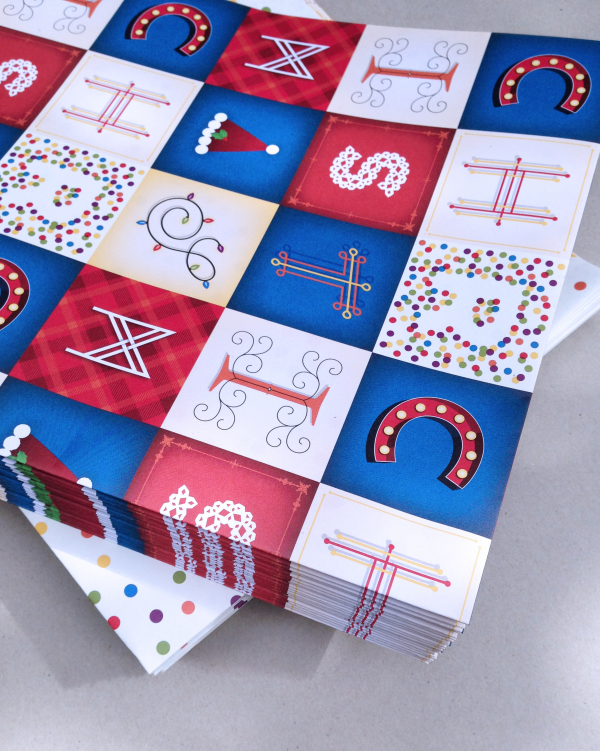 Our challenge was to use some traditional Christmas icons, with a modern new twist. So even though some of the elements are classic festive icons (Santa hat, fairy lights), they’re presented in a surprising and fresh way. 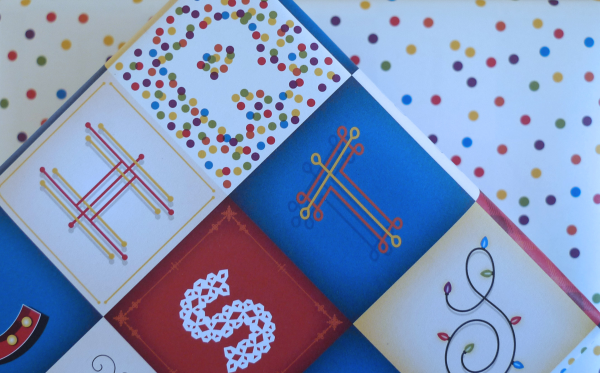 Visually, the design challenge was to combine nine different lettering styles, without clashing too many colours, and still make the word ‘Christmas’ readable. Anecdotally, feedback was immediate, photos of the gift were tweeted and regrammed, and indicated that recipients felt the gift was “a great idea, and useful.” More importantly, they definitely used the paper. • Thought it was such a smart idea I showed it round the office. Plus I’m so badly organised I’ve kept it to use for actual wrapping. 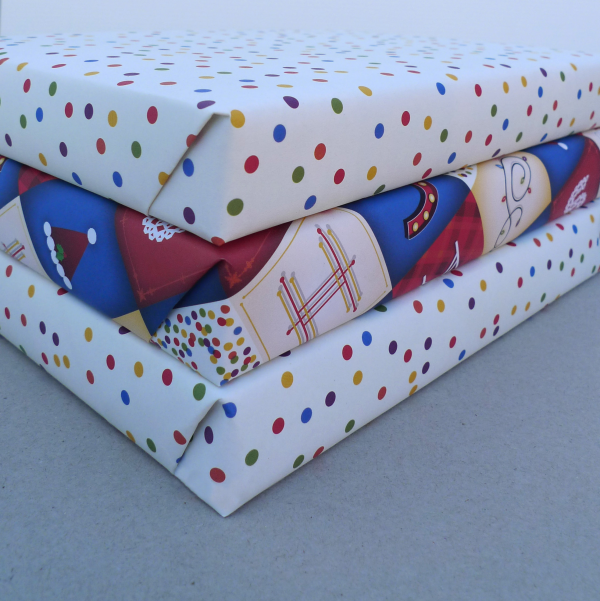 • Great idea, I love the design and you’ll laugh, I wrapped all my presents and forgot 2 people, so now I have paper yeah!! 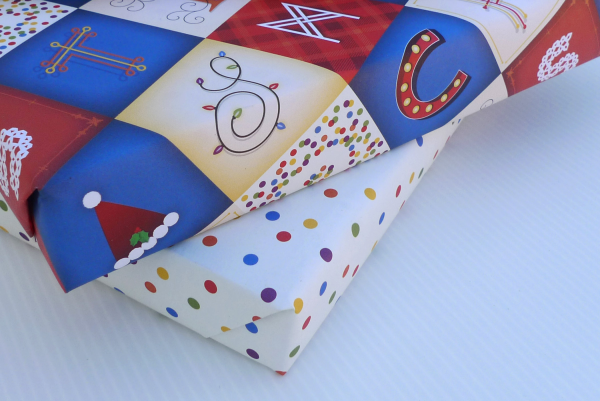 • I received the wrapping paper today – such a clever and perfect gift! Especially for last minute present givers like me. • It’s Oh-so-pretty, I saved it for my mother-in-law’s gift! The campaign led directly to being appointed for a new project, from a client we hadn’t worked with since 2012. Without this promotional piece, they wouldn’t even have remembered our name.